Our product range includes a wide range of table tennis parquet flooring, billiards parquet flooring, parquet wood flooring and table tennis court parquet flooring. 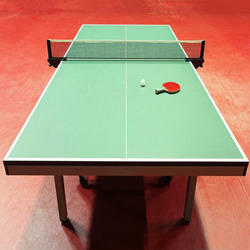 Our Table Tennis Parquet Flooring is suitable to be installed at various stadiums to be used for playing tennis. In compliance with the sports federation of India, this is provided with tough plastering. 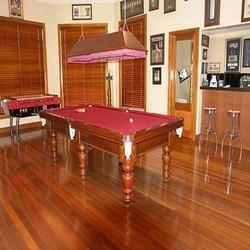 Owing to our extensive years of industry experience and market understanding, we are providing a wide gamut of Billiards Parquet Flooring. 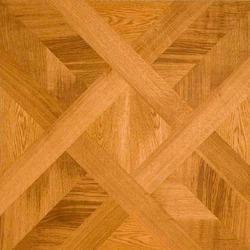 We have a complete devout in manufacturing highly demanded Parquet Wood Flooring. We are engaged in installing attractive patterns and designs for wood flooring which allows the natural grain pattern of the wood to shine through its parquet design. 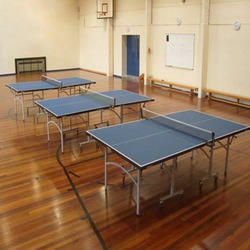 With the constant support of our professionals, we are fulfilling the varied requirements of clients by offering optimum quality Table Tennis Court Parquet Flooring.